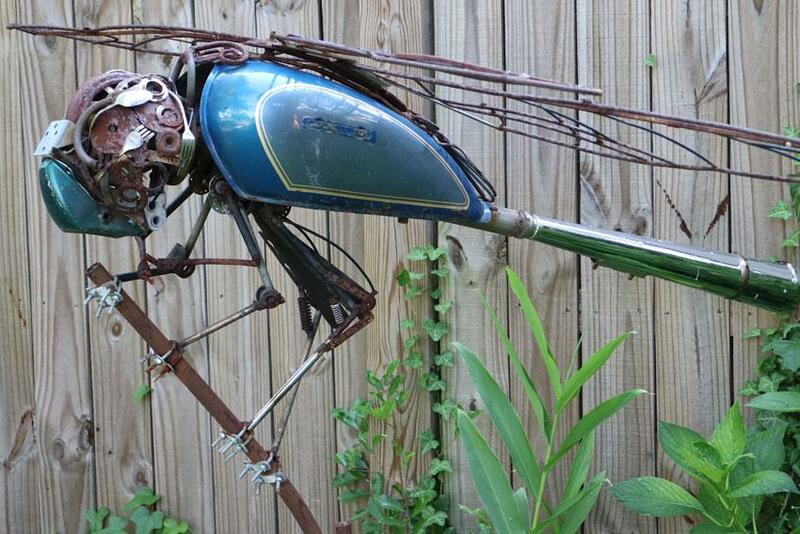 White's sculptures include non-dinosaur specimens like this dragonfly. White's rabbit resembles an oversized jackrabbit. The T. rex weighs about 200 pounds. The triceratops is perched in one of White's flower beds. Dented frying pans, worn-out shock absorbers, a rusty bicycle chain — in almost anyone else’s garage it’s junk. In Andy White’s workshop, these artifacts become part of his artistic palette, essential ingredients for the next sculpture. White, a research assistant professor in the S.C. Institute of Archaeology and Anthropology at USC, grew up with a fascination for dinosaurs and a desire to make stuff. When he learned to weld, the two interests fused — and now there’s a metallic Tyrannosaurus rex and a triceratops in his backyard. 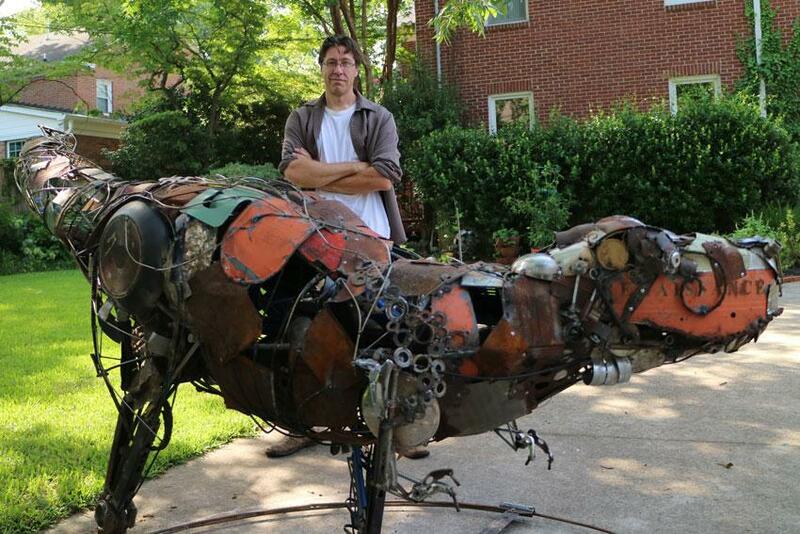 The T. rex is made of metal pieces he scrounged from neighborhood trash piles or salvaged from his own family’s belongings, the head fashioned from an antique boat motor fuel tank. The triceratops incorporates the frame of a bicycle one of his children once rode. White’s sculptures — which include such non-dinosaur specimens as a dragonfly, a rabbit and a snail — are amazingly true to form. 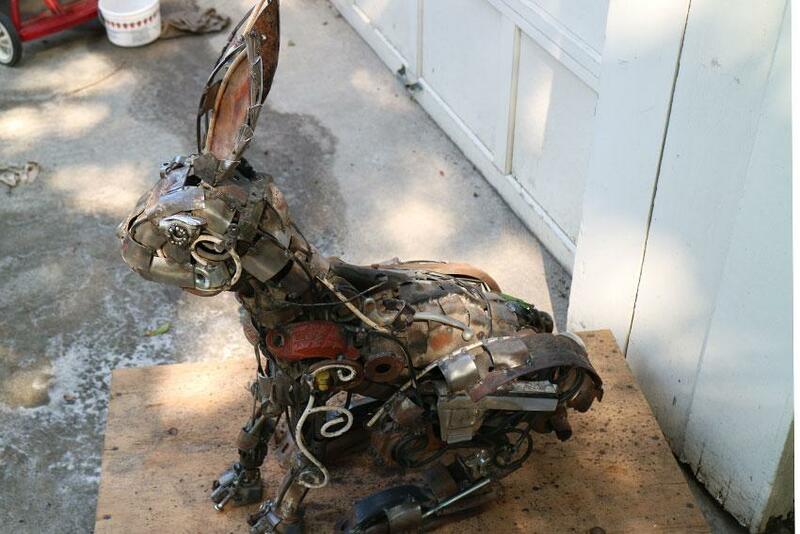 But he keeps his sculpting toolkit simple: a couple of welding machines, a handheld grinder and a vise. Still, he would like to make another T. rex, maybe a smaller “offspring” of the larger one he just completed. 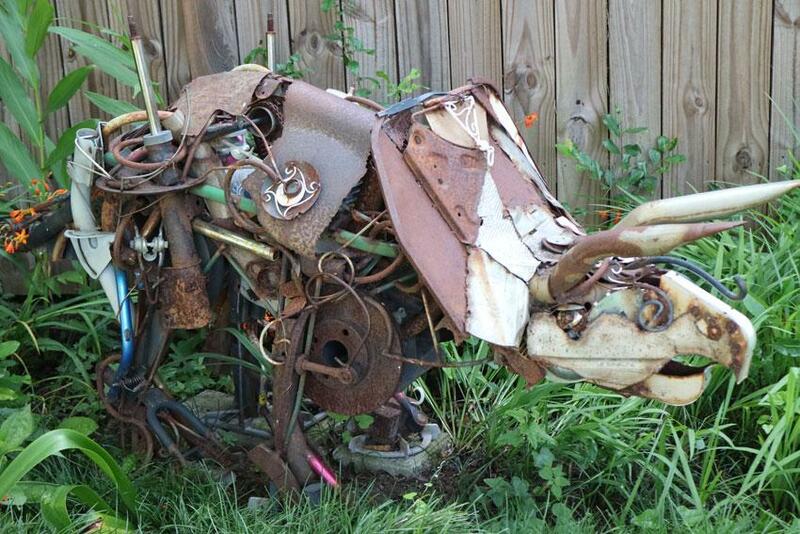 And perhaps another triceratops and a more ornate garden gate opening into his backyard sculpture garden.